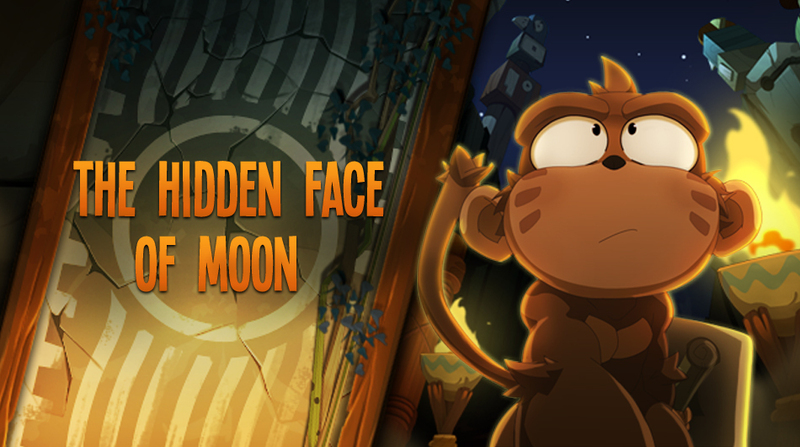 The Hidden Face of Moon - Updates - WAKFU, The strategic MMORPG with a real environmental and political system. The new zone of Moon Island! Kerubaby , kitty got claws! We know that we have some intrepid explorers out there who have searched the jungles of Moon Island high and low for treasure and secrets. We know that exploring through the vines, with only machete in hand, was no easy feat… but do you think you have uncovered all of Moon Island’s secrets? The thirst for adventure never ends. 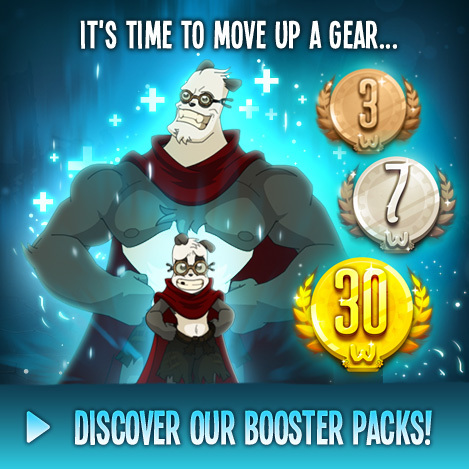 Today; we announce that the next update will be on… April 12th! Be wary explorers, for the two new monster families -- the Nyl Crocodyls and the Kannivores lie in wait, with tooth, spear and thorn at the ready. 2 new dungeons (for levels 176 and 178). This new zone is only accessible to players who have an active Booster Pack. The former Moon Island zone (released in update 1.45) is now accessible to ALL! Even stinky little rats and ill-mannered monks need a makeover once in a while. Well, unfortunately we couldn't do much for their sorry snouts, but with all our power we've given their surroundings a visual revamp! Monk Island has been visually revitalized with one message in mind: more spook and more chills! From April 12th at 10:00 AM to April 26th at 10:00 AM (server time), get ready to collect eggs and participate in the hunt of your life! Or the opposite... but remember that date because Fleaster is coming back and it will be for players of all levels to enjoy! It may well be that the Meridia of Eggs will be overwhelmed during this time and might need a helping hand or two. Don’t you hear his cries for help? We sure do, so collect the Fleaster eggs by farming them, and then take them to the machine, located in the city of Astrub, to choose your reward for your public service! Please note: The content of this event will be identical to the version from last year, but we feel that these in-game events (and the achievements gained from them) can be appealing to both our new and older players. The arrival of Heroes System between last year’s Fleaster event and this year’s Fleaster event should not cause major problems, however, some environmental quests related to the Fleaster event may cause you to encounter some problems. The reason we have not been able to look in more detail on these issues is because we wanted to focus our efforts on the upcoming patch (and with it, permanent content) rather than the temporary content of this in-game event. From April 12th, the Huppermage will be available for all players! Find out more about this new class. In the coming update, we're offering you the opportunity to play the latest class who are able to combine all four elements! Consider that, with this class, the balance of the Krosmoz is in your hands! From April 12th, the Class Change service will also include Huppermages! As detailed previously, Kerubaby (Baby Kerubim) joins the game! Players who made a purchase (via real currency or Ogrines) from December 1st, 2014 to April 12th, 2016 will receive this feline fellow! Your latest pet will be credited to your account sometime after the update. Watch out for news when.